Complaints Regarding Ration Card, Fair Price Shop, LPG, PNG, Godown, Weighing and Customer Safety Complaint, State Consuemr Disputes Redressal Commission, District Forum, Kalparatur, Department Store, Gas Station Under Corporation, Petrol Pump Under Corporation and Other Complaints. How and Where to Complaint in Online? 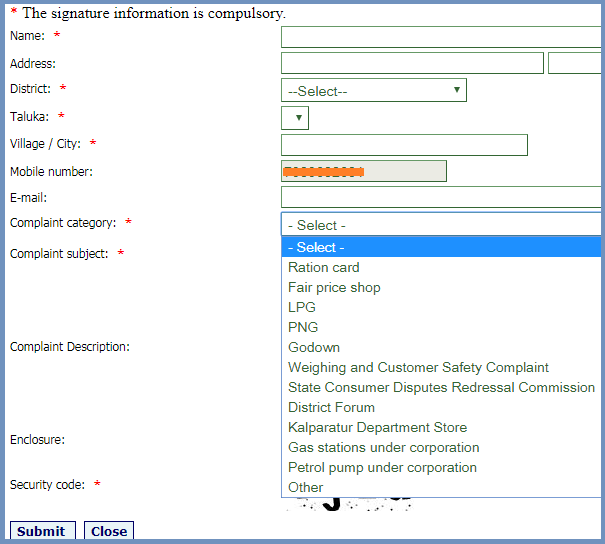 Two ways to complaint online regarding ration card and other complaints. 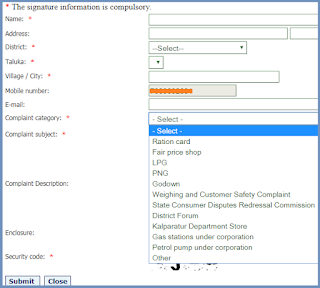 Method 1 Link 1:How to Register a Complaint in Gujarat about Govt Services? Now you will logon to Online Complant Form then fill the Online form and submit. After Submit you will get Complaint Number for future reference to check Complaint Status. Chcek Here Online Compalint Status Here:After Visiting this Link http://ipds.gujarat.gov.in/PGRS/Complaint.aspx Click on "Click Here to Complaint Status" then enter Complaint Number and Click on Look. Now it will display your complaint Status.